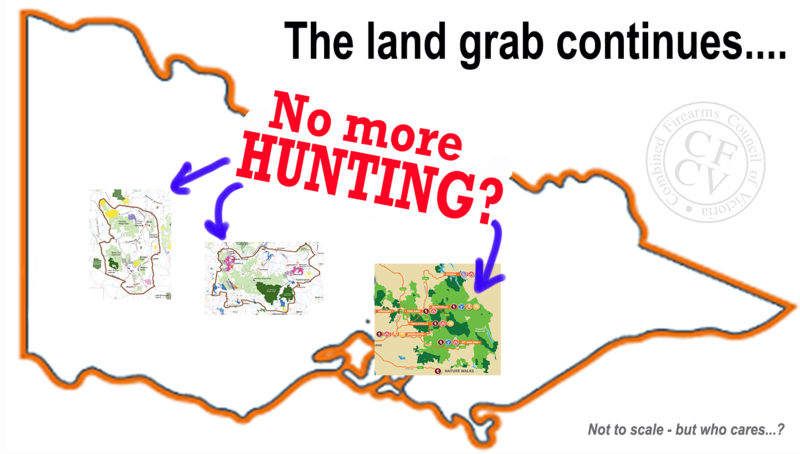 VEAC’s new investigation areas: more proposals to lock out hunting? 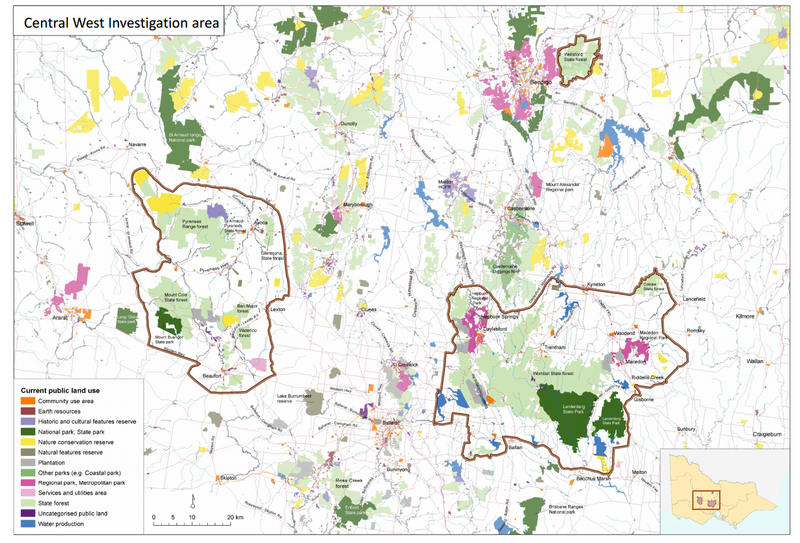 Last year we explained how the left-leaning Victorian Environmental Assessment Council (VEAC) was pushing for the creation of the Great Forest National Park which could exclude hunting in a vast area covering north eastern areas such as Marysville, Kinglake and Mt Baw Baw. Now they are proposing similar restrictions in areas in the state’s west, near Avoca and Woodend. VEAC’s terms of reference require it to make recommendations for the ‘balanced use’ and ‘appropriate management arrangements’ of the land. As with the Great Forest National Park proposal, the material we’ve seen makes reference to a wide range of activities which would be permitted under the proposals, except for shooting. That’s why we need you to make a submission – to let them know why hunting in particular, needs to be included. Submissions are due by COB Monday August 21st. Thanks to the Australian Country Party and one of our executive members for drawing this to our attention! I refer to your Central West Investigation. The purpose of the investigation includes making recommendations which ensure the balanced use and appropriate management arrangements. Hunting and target shooting provide a suitable balance for sustainable land use as well as pest management. These activities also provide significant economic benefits: the State Government has estimated hunting as contributing approximately $439m to the Victorian economy each year, making the true value of the shooting sports considerably higher. In the circumstances, I believe the only way you can ensure the recommendations are properly informed is to recognise the economic, environmental social value of hunting and recommend that it be included in future land use. Remember – submissions are due by COB Monday 21st August, so please send your submission now to make sure you get heard! Didn’t we just get through the “Inquiry in to the control of invasive animals on crown land” investigation ?? and realizing the negative outcomes of closing off crown land to hunters ?? Perhaps its time VEAC sat down and read the submissions put forward in this paper and the findings and recommendations of the committee instead of blindly charging off attempting to close off more and more crown land to hunting thereby making a nursery for invasive animal such as they did with Barmah state forest now Barmah NP (in this case feral pigs), it would appear that VEAC have to keep justifying their jobs by recommending something needs fixing that was even in danger of being broke in the first place. Dont they understand how us sporting shooters help control vermin and pest animals..Also its our sport too..and put food on our table..
It’s great to see the Country Party (formally Country Alliance) expose this with former Senator John Madigan being active on the ground against this move by VEAC. Another example of creating a problem by being exclusive to hunting. Deer, kangaroo, pig and goat populations are exploding and one of the reasons is not allowing hunting in these area. I suppose poisoning and trapping will be carried out as control measures but they are ineffective and non-specific whereas a hunter can be exclusive.